Specialty Camps Dance, art, theater, sports, academic, and more! ENROLL TODAY Sign up for 1, 2 or more weeks. Find something fun to do with your family every day of the month! From kids’ rooms to bathrooms and the kitchen, easy solutions to keep your home clutter-free. @NYMetroParents Visit NYMETROPARENTS.COM for family activities updated daily and more than 2,000 parenting articles! At The Little Gym, we complement the traditional school experience with unique classes that revolve around active play. Our students are encouraged to jump, flip, and swing their way towards increased health, focus, knowledge, and happiness. Big Discoveries at The Little Gym. Find your kid's happy place with an Introductory Experience! appy Mother’s Day to all of you lovely readers! Whether your family is planning an elaborate brunch out or a classic, yet cozy breakfast in bed, or your partner is giving you a day of relaxation, we hope you have a day that truly celebrates you. If you’re a brand-new or expecting mom, you’ll want to turn to “Is That Normal?” (p. 12), in which we explore the various changes—physically, hormonally, emotionally—your body will go through postpartum. You’ll find out what’s normal and when you should seek help. If you’re a mom of a teenager or two (are your teens putting you through the paces? ), we discuss how you can encourage your child to nix the bad habits he has likely adopted and replace them with healthy ones (p. 14). As summer inches closer, we just seem to always have camp on our minds—and we’re getting more and more excited! If you’re looking for a dance, art, theater, sports, academic enrichment, music, or STEAM camp for your little one, you’ll want to check out our specialty camp descriptions (p. 32) and the at-a-glance comparison chart (p. 36). And to help you with the camp planning process even more, we’re re-issuing The Camp Planner by Westchester Parent, which is full of great articles, descriptions of area camps, camp comparison charts, and open house schedules. So, if you’re looking for a lastminute registration, you won’t want to miss this ultimate, all-in-one, camp resource! You can find it at nymetroparents.com/campguide/westchester beginning April 17! With spring in full force (are you sneezing up a storm too?) and spring cleaning on our minds, what better time to get your home a little organized? From the bathroom to your kids’ rooms, experts share insider tips to keep your living space clutter-free (p. 30). Happy organizing! •	20 Lessons from Camp We Use Every Day •	Camp Planning Timeline •	What Camp Directors Wish Parents Knew •	8 Questions to Ask a Camp Director •	Choosing a Camp for a Child with Special Needs •	Is Your Child Ready for Sleepaway Camp? •	10 Things Counselors Wish Parents DIDN’T Do •	Ready to Be a CIT? BIG APPLE PARENT, QUEENS PARENT, WESTCHESTER PARENT BROOKLYN PARENT, ROCKLAND PARENT, BERGEN • ROCKLAND PARENT, STATEN ISLAND PARENT, and LONG ISLAND PARENT are published monthly by Davler Media Group, LLC Copyright © 2019, Davler Media Group, LLC No part of contents may be reproduced without prior permission from the publisher. Susan Meisler, M.D. • Hilary Smith, M.D. Lisa Mandelker, D.O. • Debra Etelson, M.D. 145 Huguenot St., Suite 200 New Rochelle, NY www.pasw4kids.com • 914.235.1400 Ask the Orthodontist! What signs warrant seeing an Orthodontist before all the baby teeth fall out? Some signs include a very deep bite, underbite, or crossbite, and mouth breathing and poor sleep. These signs indicate a craniofacial imbalance or orofacial muscular imbalance (improper tongue posture as an example). Other signs to look for include habits like thumb sucking, speech problems, and inability to pay attention at school. Small airways at a young age can sometimes interfere with proper growth and development. What are some treatments available in early interceptive orthodontics? There are many treatments in early interceptive orthodontics, but two common ones are: Expanders: Mouth breathing, snoring, and poor sleep are all signs of a small airway. Apart from possibly having to remove the tonsils with an ENT, an orthodontic expander helps open the airway—the roof of the mouth is the ﬂoor of the nose, so expanding the upper jaw can help your little one breathe—and restore good tongue posture. It also promotes proper facial development and restores orofacial muscular balance. Bite plate retainers: If the issue is an overbite that inhibits the lower jaw growth, a simple retainer will help. If not intercepted, this could result in a permanently recessed lower jaw. Tryouts for the Westchester Heat travel softball team are conducted on an individual basis and will continue through the spring. Arizona Sunshine is the future of intera ctive gaming at FunFuzion. ou just hired your new nanny! Everyone is very excited, and you are totally optimistic that she’s going to work out great. A nanny starting with a new family might feel very much like she has just arrived in a new “town.” Suddenly she is working—and oftentimes living—in a new home with a family she knows very little about. She doesn’t know the ins and outs, the routines, or the family dynamic. As a new employer, the most important thing you can do to ensure an easy transition is to act as a family interpreter; you need to teach your new nanny the “language” of your home. information you can provide to help her adjust will go a long way toward making her feel more capable in her new job. Don’t forget lists of area activities and playdate contacts. Describe in detail a typical day with your kids and be very specific about what role you expect her to play. Communicating these details clearly will ensure she understands what you expect of her. Your nanny is going to be in charge of the health, safety, and wellbeing of your children, so it’s in everyone’s best interest to facilitate mutually respectful dialogue if you need to raise any issues. It’s going to take time, patience, and effort—but eventually your nanny will be a fully integrated citizen of your “town.” And taking the time to be a helpful “interpreter” throughout the transition period will be the key ingredient to ensuring a happy and healthy relationship with your new nanny. Mommybites’ nanny boards only feature postings from nannies’ current families. You can rely on their recommendations. If you need a nanny or babysitter, visit Mommybites.com. Our practice is designed speciﬁcally for your child’s comfort. The open bay treatment areas, child friendly themes, and parent friendly atmosphere are designed to enhance your family’s dental experience. We take pride in caring for our community by providing high quality, conveniently accessible, compassionate oral health care in a nurturing environment. Dr. Benjamin Dancygier is devoted to helping mothers, newborns & infants overcome nursing and feeding challenges. Dr. Ben sees infants for frenectomy procedures to correct abnormal frenum attachments known as tongue-tie or lip-tie. aving a child with a life-threatening allergy is constantly scary. As much as you can prepare yourself for the worst, it adds extra comfort to know the other adults in your child’s life are also prepared to act in an emergency situation. Purvi Parikh, M.D., an allergist with Allergy & Asthma Network, shares what parents of children with a life-threatening allergy should do to ensure their child is safe at all times—even when the child isn’t with the parent. Create an action plan. Once it’s determined your child has a life-threatening allergy or asthma, be sure to talk to her physician about constructing an action plan, Dr. Parikh suggests. This should detail what an allergic reaction or asthma attack would look like, as well as what to do at the time, what medicines to administer, and when to call 911. Educate all adults in his life about the allergy or asthma. Everyone who interacts with your child—from coaches and teachers to babysitters and grandparents—should be well informed of the action plan, Dr. Parikh says. Encourage your child to speak up when a reaction is occurring. When you’re not around, your child is her own best advocate. With the help of your physician, teach your child to know what feelings indicate she is having a reaction. This can mean itchy skin or rash, difficulty breathing, vomiting, tummy aches, and more, depending on the child. Empower your child to speak up in these situations— and to speak up about any allergies when necessary. Ensure emergency medications are always available. All caregivers should have access to emergency medications. A doctor can generally prescribe EpiPens in bulk, according to Dr. Parikh, so give one to your child’s babysitter, teachers, coaches, and grandparents—and give one to your child to carry. Whomever is given the responsibility of holding the EpiPen should know how to properly use it (there are instructional videos online). If the child suffers from asthma, he must have quick-relief medication on hand and with all caregivers. Teach the child to use medications. While it is important for the adults in your child’s life to know how to administer emergency medications, it is equally, if not more, important for the child with the allergy to know how if she is older than 4, according to Dr. Parikh. This includes asthma pumps and antihistamines. 50,000 sq. ft. of PURE FUN! Laser Tag • Super Fly • 150 Arcade games Rock Wall • Kiddie Zone Bumper Cars • Batting Cages and MORE! Can You Handle The Thrilling Excitement? Saving money on a New York City family day is easy! Cityguideny.com has coupons and discounts for NYC sightseeing attractions, restaurants, stores and more. Great New York deals, savings, special offers and deep discounts—for you and your family—are yours with just a click of the mouse. omen are taught to expect numerous changes to their bodies during pregnancy; from weight gain to weird cravings to swollen feet, there are just some things we know might happen. However, we don’t talk about the changes that might happen to your body after your baby is born nearly as much, which can lead women to think what they’re experiencing isn’t normal. Since hormonal and emotional changes are common after delivery, it can be difficult to know when what you’re feeling could signify postpartum depression, which can also be frightening. In terms of physical changes, thinning hair, scar itching, breast engorgement, and more are usually completely normal ways your body adjusts to motherhood as hormones swing back to normal. Some changes are very common, especially when you reach six-seven months postpartum. Alyssa Dweck, M.D., a New York OBGYN and assistant clinical professor at Mount Sinai Hospital’s School of Medicine in Manhattan, who has been practicing for more than 20 years, says she sees a multitude of “abnormalities” in patients that are not cause for alarm. incredibly common for women to have significant hair loss at about six or seven months postpartum,” Dr. Dweck says. “It’s a very common thing to go in the shower and have clumps of hair falling out.” Dr. Dweck says many women also worry about hemorrhoids and weight gain, as well as itchy C-section scars, but these issues are relatively common too. “I don’t want to call [these experiences] normal. I want to call them not abnormal,” she says. “Some people have a C-section and never get a scar. Some people never get hemorrhoids.” Lindsey Scharfman, M.D., echoes that hair loss, engorged breasts, some bleeding, and dependent edema, where the body swells bilaterally, are all normal conditions to experience after having a baby. Her patients at Crystal Run Healthcare in West Nyack experience a spectrum of postpartum issues that wind up being nonissues. Christine Catanzaro, R.N., a mother from Northport, had two children 17 months apart. She noted drastic physical differences in her body between having a boy and a girl. While she did not experience hair loss after her son was born, significant hair fell out after having her daughter. She also gained more weight, experienced more tearing in the labia region, and says her feet were more swollen. She experienced more emotional volatility after having her daughter, but partially attributes that to working nights, sleeping poorly, and having two very young children to parent. Doctors agree that certain “normal” symptoms can morph into abnormal ones after birth, and new mothers need to watch their symptoms carefully. Bleeding, for example, is normal, Dr. Scharfman says, but only to an extent. “Bleeding should be like a period or less,” she says. “If you’re going through one pad a day, that’s normal. But if it’s one to two pads every hour, that’s not normal, and you need to go to [the hospital]. It could be a postpartum hemorrhage.” New mothers who experience severe dizziness upon standing, feel weak and cold, or have racing heartbeats could be anemic. And if one leg, for example, is more swollen than the other, that could signify a blood clot. If a woman experiences blurred vision, a headache that doesn’t go away with medication, or upper belly pain, she could have pre-eclampsia. All of these require immediate medical attention. There are also potentially less serious physical abnormalities that Dr. Dweck says need to be discussed with your doctor. “When is it not normal? So, hair loss where it doesn’t seem to stop, or you’re having huge, big bald spots…That needs to be addressed by your physician to make sure it’s not something other than just typical postpartum hair loss,” Dr. Dweck says. “As far as the itchy scar, [you just need to make sure] there’s no infection, that there’s no underlying skin condition…Any questions or concerns about it being ‘right’…It’s worth a check with your OBGYN.” Olga Tusheva, M.D., an OBGYN at Montefiore Nyack Hospital in Nyack, mentioned breast pain as another issue that could become abnormal. “If one breast is significantly bigger than the other, if there is swelling or redness, tenderness, [or if changes are] not proportional to [breast] appearance, then the woman should [see her OBGYN] to make sure everything is normal,” Dr. Tusheva says. depression, which can be a very dangerous condition,” Dr. Tusheva says. “If she feels down, overwhelmed, stressed, if there’s any thought of harming herself or baby, all of those symptoms should be discussed with an obstetrician or a primary care physician or a psychiatrist. Someone who can help [her] feel better, as opposed to leaving the condition untreated and having it get worse.” Hospitals conduct postpartum screenings before sending women home with their new babies, but Dr. Tusheva says every woman should be aware of what PPD could potentially look like. Many things contribute to how a woman is feeling after giving birth, such as sleep, the baby’s health, the baby’s sleep patterns, the availability of support at home, socioeconomic status that relates to available support, or a history of anxiety or depression. “If a woman is finding herself feeling helpless, hopeless, if she is catching herself thinking any type of thoughts concerning harming the baby or giving the baby away or how much her life would be easier without the baby, if she finds herself just being sad and upset,” Dr. Tusheva says, “I would say for days in a row as opposed to moments of temporary feelings or temporarily upset, then all of those are the concerning factors for developing PPD.” Treatment for postpartum depression varies on an individual basis. The most important thing to do is seek help so your doctor and psychiatrist can help you feel better, sooner. “Bad habits are very rewarding,” Jovanovic says. “The rewards, satisfaction, and pleasure that bad habits provide are usually much more tangible and closer in time than the negative consequences. Impulse control, an area of executive functioning, is all about [foregoing] those short-term rewards for the sake of achieving a larger, more valuable reward that comes later on. But impulse control is not a skill that comes naturally.” It will take some time for tweens and teens to understand the consequences that ultimately come from giving in to those impulses, Jovanovic says. But for now, playing video games or scrolling through Instagram beats the danger of not getting into the dream college because of a low GPA and eating a double cheeseburger sounds far more tempting than eating a salad. If your teen sees no strong reason to stop his bad habits, he will continue with them. “The way these habits get broken down depends on what the habit is like, and what kind of satisfaction it brings to a person. However, the challenge is not only to let go of bad habits, but to build new ones that a teen can really stick to,” Jovanovic says. For example, what might a dermatologist say about your teenager’s skincare routine? Perhaps a lot. Although an estimated 80 percent of teens deal with acne, 90 percent have not seen a dermatologist, according to Yoram Harth, M.D., F.A.A.D., board-certified dermatologist and medical director of MDacne, an app that uses selfies to connect patients with customized treatments. “As a dermatologist, I believe that one of the worst habits teens have is picking on their acne,” Dr. Harth says. “Unfortunately picking on acne can leave lifelong scars that are very difficult to eliminate. Many parents think acne will go away by itself with age, but it won’t.” You could try to convince your teen not to pick at her skin by virtue of the fact that picking is bad for it, but that’s pretty hard to do since, in theory, she’s already well-aware. “The second, easier way is to help them treat and prevent their acne,” Dr. Harth recommends. “A lot can be done with small changes in behavior. If someone is dealing with acne breakouts on their forehead, they should avoid headbands, baseball caps, and hair gels. If the acne is on their body, they should avoid backpacks and too-tight clothing—and always wash their face after sweating, and shower at least once a day.” So, how can we help our teens make behavioral changes, like the ones mentioned above, that eliminate bad habits? Lecturing (for its own sake): “Teens are opinionated young people who are likely to stick to their own way of seeing things, even if they calmly nod when you’re telling them what they should or shouldn’t do,” Jovanovic says. “Chances are, they feel that you are too old, lame, or naive to really understand what they’re going through.” Impulsive reactions and a lack of reasoning behind your grounding system: “Though sometimes taking their phone away or having them go to their room may encourage them to actually do their homework or get to bed earlier, in most cases, teens will continue doing the same things, just to prove your punishment doesn’t make sense.” Figure out a system that is clear and makes her aware of the consequences—then stick to it. Comparing yourself to them: “Teen years are the years of questioning authorities,” Jovanovic reminds us. “This is a period when it’s psychologically desirable to be rebellious, as teens are starting to uncover who they want to be.” So, when you compare your habits to theirs, you’re implying your way is “the right way.” “One of my clients phrased it nicely: ‘My mom thinks she is living vicariously through me. I am my own person, which is why I intend to do most things differently,’” Jovanovic adds. common bad habits for teens is negative self-talk, yet how many parents have looked in the mirror and said something negative about their bodies in front of their child?…That’s why the personal growth of parents is the best way to teach good habits in our children,” she says. To that end, “model the good habit in yourself and let your teen know you are also working on it,” Dr. Johnston-Jones advises. If your teen is working on improving her sleep habits, help her by keeping a steady bedtime yourself, away from your phone. And most importantly, replace bad habits with healthy family habits. For Dr. Johnston-Jones, regular family meetings are a big part of the puzzle. Share the importance of creating a solution everyone can agree on. Try it for a week. If it needs revisiting, put it on the agenda again and come back to it. End the family meeting by talking about future plans or playing a game together, like charades, even if it’s just for 15 minutes, she suggests. Reach an agreement and stick to it: “There may be things you are not willing to let slide. Whatever that is—their GPA, exercise, sleeping habits, or personal hygiene—it’s important to let them know,” Jovanovic says. “Set up clear, unambiguous expectations. Let them know whether they can use your support or if they have any resources available.” When both sides come to an agreement, your teenager will have a stronger grasp of trust and accountability. Emphasize freedom of choice and leave them to it: “What I do in coaching is ensure that a teen I work with is familiar with all the choices they can make in a given situation, as well as the benefits and negative consequences. I help them weigh the options and once they make a decision to take ownership of it,” Jovanovic says. “What I see parents do with the intention to prevent bad things from happening is either making the choice for kids or trying to eliminate the consequence. It’s very important that they have the consequence and the opportunity to deal with it. This is a necessary learning experience that builds resilience and problem-solving and coping skills.” Give useful feedback: “By ‘useful,’ I mean concrete, focused on behavior, and timely,” Jovanovic says. Instead of telling your teen to practice better hygiene, tell her to shower every evening and brush her teeth twice a day. Start small and offer praise: In reality, no matter how old you are, “changing a habit is a difficult task, and getting started on a change is usually the hardest step,” Jovanovic says. Start small and leave room to grow. If he hasn’t exercised in a while, don’t sign him up for an intensive three-week program. Start with a daily 30-minute walk around the neighborhood and join him if he’s up for it. “Parents tend to compare their own habits to the habits of their children,” Jovanovic notes. “Put the frustration on hold and focus on helping their behavior translate into a stable habit. Applaud their efforts and help them build up to new goals.” Build your relationship: Lastly, and most importantly, this is the key to shaping your teenagers into the adults you’d like them to be. “If the relationship isn’t good, chances are that your teen will ignore you, or do the opposite of what you suggest,” Jovanovic says. “What a coach (that’s you) does is invest time in listening and understanding the reasons behind the choices teens make. ...Consistency in the coach’s actions and attitude is what builds trust.” Once your teen trusts you and feels like you really know her, she’ll be ready to listen and take what you’re saying into consideration, Jovanovic says. Your teen will also feel less pressure and a lack of judgment, which will help him grow and find out what works for him. Karen Lo is a freelance writer living in Brooklyn. “Anyone who has somebody else depending on their income needs life insurance,” says financial expert Jean Chatzky, author of Women with Money and host of the weekly podcast HerMoney. “Think about life insurance as income insurance,” Chatzky says. “If you were to die, who’s going to be in trouble because your salary or your income is no longer there?” With life insurance, your beneficiary—most likely, your child’s other parent or guardian—will receive a payout, known as a death benefit, if you die. This money can cover the basic monthly expenses (think: after-school programs, grocery bills, and so on), allowing your family to maintain their standard of living, Graham says, along with paying the mortgage bill or monthly rent at your current home. Plans can also help send kids to college, he notes. But keep in mind what makes sense for one family, might not make sense for yours. “Everyone’s financial situation is unique, and everyone’s life insurance needs are different,” Graham says. What’s the Right Insurance for You? As a parent, your best bet is to get life insurance right away—that means before your baby is born, or immediately afterward. “You want to make sure that the need is covered when it exists,” Chatzky says. Plus, this is one task that rewards youth and good health. “Life insurance gets more expensive as you get older,” Chatzky says. And if you develop a health condition, it can be harder—and again, more expensive—to get insurance, she adds. Parents can choose between two categories of life insurance: permanent or term (that’s short for “terminate”). With term insurance, you’ll be covered for a set period of time (between 0 and 30 years, according to ACLI)—the policy will pay only if you die in that set timeframe. After the set time period, there is no payout. Permanent life insurance, by contrast, will give you lifelong protection—as long as you continue to pay the premiums, your beneficiaries will receive the death benefit. There are several versions of this type of insurance available, depending on your particular needs. Generally, Chatzky recommends term insurance, which is far cheaper than permanent. “In order for people to get as much insurance as they need, [term insurance is] often the only affordable way to do it,” she says. Plus, she notes, remember the whole point of getting this insurance: to cover your income. Once your income is no longer essential to your family’s way of life—for instance, 25 years down the road, when your kids are out of college and the mortgage is paid off—you no longer need the coverage of term insurance. That said, some parents will always have a need for insurance, Chatzky says. If there’s someone in your life who will depend on your financial support for your entire lifetime, such as a child or sibling with special needs, permanent insurance makes sense for you, she says. You can also use permanent insurance to leave your kids money in your estate, she notes. What if you want or need permanent insurance, but can’t afford it? “You can start with term insurance and then convert it to permanent insurance in most cases,” Chatzky says—just make sure your insurance policy provides an option to convert. equal to one or two times your annual salary, he says. “However, some experts recommend that people’s life insurance coverage should equal ten times their annual income. Needs could be higher or lower depending on a family’s situation,” Graham says. Figuring this out comes down to doing some math and thinking through both your current and future financial situation—to help, you can search online for life insurance calculators (like the one offered by Nerdwallet). The biggest considerations to keep in mind are: 1. How much debt do you have? From repaying credit card bills to mortgage payments, your survivors will be on the hook to pay them off. 2. What’s your income, salary, or the cost to replace services you provide? As noted above, this math is easier if you make a set salary. Multiply this amount by the years of coverage you’ll want. For stay-at-home parents, consider the annual costs of replacing their work. 3. How long do you need the coverage? Do you want the coverage to extend until your children are through with higher education, or just until they’re 18? Will you feel comfortable timing the coverage to terminate when your mortgage is paid off? These are the kinds of questions you’ll need to think through. 4. Are there other expenses you want to cover? If you want to cover big expenses—such as your child’s college education—factor it into your coverage amount. Feeling overwhelmed? There’s no need to go it alone. You can reach out to friends and family for advice. Professionals can also help you make your decision. “A life insurance agent or financial advisor has the knowledge and expertise to help consumers determine what level of protection is right for them,” Graham says. The most important thing is not to let distaste for thinking about your mortality—or an aversion to doing the thinking and math required to determine the right policy for you—stand in the way of getting covered. As Graham says, “Life insurance is a critical part of a family’s financial wellness.” Madeleine Burry is a freelance writer and editor who has held staff positions at Parents. com, Scholastic, and About.com. Burry lives in Brooklyn with her husband and their cat. Come learn from our experienced Montessori teachers who provide an individual, hands on learning environment. We offer a variety of toddler and ACTIVITIES pre-K programs! Extended hours are available. 2 Overhill Road, Suite 300, Scarsdale 914-472-9595 scarsdaleortho.com/contact Dr. Blais, an Ivy League-trained doctor, treats patients, starting at age 5 through adulthood, with a meticulous eye and amazing patient care! Proper facial development and function are factors Dr. Blais integrates into her treatment planning. It’s not just about teeth, it’s about health and beautiful faces! Gymnastics, fun, friends and fitness since 1982! V is it O u r To ta Awes o mlly e New ly Ren ova te d Fa ci lity! Get advance notice on activities, participate in group discussions and receive special notices. Dr. Ivis Getz 140 Lockwood Ave., Suite 315, New Rochelle 914-355-2265 caringpediatricdentistry.com caringpediatricdentistry@gmail.com Dr. Ivis Getz, a board-certified pediatric dentist, is committed to providing the highest quality dental care to infants, children, adolescents, and those with special needs. The dental team truly www.facebook.com/nymetroparents enjoys working with kids and will treat your child with warmth and compassion. The practice has convenient after-school and Saturday appointments available. 1557 Route 82, Hopewell Junction 845-226-8577 3630 Hill Blvd., Suite 101 Jefferson Valley 914-245-7100 valleypediatricdentistry.com Our practice is designed specifically for your child’s comfort. The open bay treatment areas, child-friendly themes, and parent-friendly atmosphere are designed to enhance your family’s dental experience. Dr. Benjamin Dancygier and team specialize in laser treatment of tongue, lip, and buccal ties to help newborns and infants overcome breast-feeding issues. Spring presents so many opportunities for family fun, from stopping to smell the flowers at a local nature center to adventuring outdoors to a scenic day trip location. Both are great ways to get outside and enjoy the weather after months of being cooped up inside. However, for those of you who want to take it easy, you can always pick up some fresh produce at your neighborhood farmers’ market and relax at a kid-friendly museum. John Jay Historic Homestead 400 Jay St., Katonah 914-232-5651; johnjayhomestead.org Hours: May 11-Oct. 26, Saturdays, 10am-2pm Local nonprofits, bakers, farmers, and craftsmen all come together at the John Jay Historic Homestead to sell a variety of handcrafted goods. Featuring live music and kids’ activities, there is something everyone in the family can enjoy while walking and sightseeing through the homestead’s flower and herb gardens. Hudson River Museum and Planetarium 511 Warburton Ave., Yonkers 914-963-4550; hrm.org Hours: Wednesday-Sunday, 12-5pm Admission: $7; $5 seniors and students with ID, $4 children ages 3-18; free for children younger than 3. Part of the Fairfield/Westchester Museum Alliance, this museum preserves the maritime history of the Hudson River, its tributaries, and the industries that developed around it, using this important natural landmark as a lens to view the history, science, and heritage of the region. The museum includes the Glenview Mansion, which features six period rooms decked in turn-of-the-20th-century style, and a planetarium that hosts many family-friendly shows and programs. Planetarium shows: Saturday-Sunday at 12:30pm, 2pm, and 3:30pm ($4; $3 seniors and students with ID; $2 children ages 3-18, plus admission). Free for children younger than 3. Cranberry Lake Preserve 1609 Old Orchard St., West Harrison 914-428-1005; parks.westchestergov.com/cranberry-lake Hours: Dawn to dusk, daily. Nature lodge and front gate are open Tuesday-Sunday, 9am-4pm Admission: Free This 190-acre park includes a variety of habitats, including a 4-acre lake, cliffs and scrubland, mixed hardwood forest, vernal pools, and a pond. Visitors can follow the History Trail to the remains of a 19th-century farmhouse and early 20th-century stone-mining operation. The nature center offers free familyoriented nature programs on most weekends and houses a variety of interactive, educational displays. The preserve also offers a summer ecology program for children in first-ninth grades. Play:groundNYC returns for its fourth year of unrestricted fun for kids. Opening May 4 for the 2019 summer season, play:groundNYC on Governors Island is New York City’s only adventure playground with loose parts and materials, tools, and space for kids to just be kids. Children can visit this outdoor space to imagine and build in an area made for kids only, no parents allowed (with staff supervision). Get messy, imagine, and dream big—no restrictions! Saturday-Sunday, 12-4pm. Ages: 5 and older. Free. 40 Barry Road, Governor’s Island; play-ground.nyc. More than 100 dance organizations are participating in this year’s Dance Parade. What better way to celebrate the warm weather finally arriving in NYC than by joining 10,000 dancers, DJs, and live bands at the 13th annual Dance Parade and Festival? This unique display of culture will feature more than 80 styles of dance, including African, tango, salsa, hip-hop, contemporary, Irish, and Chinese! If you want a prime view, you can even purchase a grandstand ticket to watch from Astor Plaza. Saturday, May 18; parade begins at 1pm. Ages: All. Free to attend; $35 and up for grandstand ticket. Parade starts at 21st Street and Broadway; danceparade.org. Completed in 1906, Pierce Morgan’s library was built based upon villas of the Italian Renaissance and is home to a collection of rare books and manuscripts. A view of The Whitney from Gansevoort Street, which is located in the Meatpacking District off of the Hudson River. Sign up for our FREE newsletter & never hear “I’m bored!” again. We email the top kids’ events every Thursday—just in time to make weekend plans! WANT US TO INCLUDE YOUR EVENT? WHEN: Saturday, May 4, 11am and 1pm WHERE: Wave Hill, West 249th Street and Independence Avenue, Bronx AGES: 5 and older WHAT: Explore Wave Hill to hunt for native creatures in their garden habitats. WHY WE LOVE IT: An active and interactive way to learn about insects! WANT TO GO? $10; $6 students and seniors; $4 children 6-18; free for members and children younger than 6. 718-549-3200. wavehill.org. WHEN: Saturday, May 4, 10am-2pm WHERE: FDR State Park, 2957 Crompond Road, Yorktown Heights AGES: All WHAT: Take a stroll on the scenic 2½-mile path with your pup, then go shopping in the vendor village while enjoying food and refreshments. WHY WE LOVE IT: There will be a puppy kissing booth, kids activities, adorable doggy tattoos, agility demos, and music! WANT TO GO? 914-941-2896. spca914.org/walkathon. AGES: All WHAT: The most spectacular spring landscape New York City has to offer is the setting for live music, games, picnicking, and more. WHY WE LOVE IT: Kids will flip for backyard fun such as ladder toss and giant chess while moms will appreciate floral demonstrations and food trucks. WANT TO GO? $30; $28 seniors 65 and older and students with valid ID; $18 children ages 2-12. 718-817-8700. nybg.org. WHEN: Friday, May 17, 7pm WHERE: The Ridgefield Playhouse, 80 E. Ridge, Ridgefield, CT AGES: All WHAT: Enjoy magic, comedy, and music designed to entertain the entire family. WHY WE LOVE IT: Expect a futuristic, high-tech brand of magic! WANT TO GO? $69.50. 203-297-0933. ridgefieldplayhouse.org. the plank, elect next year’s Pinkster King or Queen, and taste West African pea fritters while learning about the enslaved people of Philipsburg Manor. WANT TO GO? $14; $12 seniors 65 and older and students 18-25; $9 children ages 3-17; free for members and children younger than 3; $2 surcharge for tickets purchased by phone on-site. 914-631-8200. hudsonvalley.org. WHEN: Saturday, May 18, 12-5pm WHERE: Wright’s Farm, 699 NY-208, Gardiner AGES: All WHAT: Expect food, live music, local vendors, wine tastings, and activities for children such as bouncy houses and wagon rides. WHY WE LOVE IT: There will be more than 10,000 cupcakes to choose from! WANT TO GO? $5; free for children 6 and younger. 845-255-5300. gardinercupcakefestival.com. WHEN: Sunday, May 19, 11am and 1pm WHERE: Tarrytown Music Hall, 13 Main St., Tarrytown AGES: 5-12 WHAT: This show, featuring original stories by local kids, sparks the imaginations of kids and adults and inspires everyone to start telling their own stories. WHY WE LOVE IT: Enjoy a pre-show group writing and storytelling workshop for kids ages 6-10. WANT TO GO? $25. 914-631-3390. tickets. tarrytownmusichall.org. WHEN: Saturday, May 4, 10am WHERE: FDR State Park, 2957 Crompond Road, Yorktown Heights AGES: All WHAT: Exercise and staying physically fit are contributing factors in maintaining mental well-being. WANT TO GO? 914-906-4629. afsp.org/wchike19. WHEN: Saturday, May 4, 10:30am-12pm WHERE: Bet Torah Nursery School, 60 Smith Ave., Mount Kisco AGES: 3-8 WHAT: Children will get an introduction to Shabbat songs, stories, and prayers. A kid-friendly Kiddush of refreshments follows each service. WANT TO GO? 914-666-7595. bettorah.org. WHEN: Sunday, May 12, 12-3pm WHERE: Muscoot Farm, 51 Route 100, Katonah AGES: All WHAT: It’s time to give the sheep their yearly haircuts! WANT TO GO? 914-864-7282. muscootfarm.org. WHEN: Sunday, May 19, 12-5pm WHERE: Hudson River Museum, 511 Warburton Ave., Yonkers AGES: All WHAT: Enjoy kite making, art workshops, and music by DJ Delon. WHY WE LOVE IT: Put your skills to the test in a series of contests led by Kites in Motion. WANT TO GO? 914-963-4550. hrm.org. WHEN: Monday, May 27, 11am WHERE: Yorktown Community Cultural Center, 1974 Commerce St., Yorktown Heights AGES: All WHAT: Join in the tradition of Memorial Day to actively remember those who have given the ultimate sacrifice in conflicts and in wars. WHY WE LOVE IT: There will be a service, parade, speeches, and a ceremony for the whole family. WANT TO GO? 914-736-1450. yorktownny.org. WHEN: Friday, May 17, 9:10am WHERE: Scarsdale Synagogue Temples Tremont & Emanu-El, 2 Ogden Road, Scarsdale AGES: 3-5 WHAT: Have fun with Shabbat songs and enjoy stories, challah, coffee, and conversation. WANT TO GO? 914-725-5175. sstte.org. WHEN: May 7-28, Tuesdays, 3-4:30pm WHERE: Mount Kisco Library, 100 E. Main St., Mount Kisco AGES: All WHAT: Drop in for help with any of your technology devices. WANT TO GO? 914-666-8041. mountkiscolibrary.org. WHEN: Saturday, May 11, 8-9am WHERE: Muscoot Farm, 51 Route 100, Katonah AGES: 5 and older WHAT: Learn the morning routine at Muscoot, feed cows, and collect eggs. WANT TO GO? $20 for family of four; $6 per person. 914-864-7282. muscootfarm.org. WHEN: Sunday, May 12, 1-2pm WHERE: Greenburgh Nature Center, 99 Dromore Road, Scarsdale AGES: 3-5 WHAT: Hear a story, meet some furry friends, and plant seeds. WANT TO GO? $8; $5 members. 914-723-3470. greenburghnaturecenter.org. ANIMAL LOVERS Story Time with Wolves! WHEN: Thursday, May 2, 1pm WHERE: Wolf Conservation Center, 7 Buck Run, South Salem AGES: 3-5 WHAT: Enjoy a nature-themed story, make a craft, and then explore nature! WANT TO GO? $12; $10 toddlers. 914-763-2373. nywolf.org. WHEN: Sunday, May 12, 11am and 2pm WHERE: Wolf Conservation Center, 7 Buck Run, South Salem AGES: All WHAT: Celebrate Mom and discover why spring is special for wolf packs. WANT TO GO? $14; $11 children younger than 12. 914-763-2373. nywolf.org. WHEN: Through May 4: select Saturdays, 9:15am WHERE: Friends of Rye Nature Center, 873 Boston Post Road, Rye AGES: 3-8 WHAT: Fathers can drop in with their children for a fun animal adventure. WANT TO GO? $10-$15 per family. 914-967-5150. ryenaturecenter.org. WHEN: Saturday, May 18, 11am and 2pm WHERE: Wolf Conservation Center, 7 Buck Run, South Salem AGES: All WHAT: Honor Atka’s 16 years of life, and celebrate what would have been the 17th birthday of the WCC’s most popular wolf. WANT TO GO? $14; $11 children younger than 12. 914-763-2373. nywolf.org. WHEN: May 2-4, Thursday, 6pm; Saturday, 12pm WHERE: The Field Library, 4 Nelson Ave., Peekskill AGES: 5-12 WHAT: Children can gain confidence by reading to a specially trained dog. WANT TO GO? 914-737-0847. fieldkids.wordpress.com. WHEN: Sunday, May 19, 1-2pm WHERE: Greenburgh Nature Center, 99 Dromore Road, Scarsdale AGES: All WHAT: See what’s on the menu and learn how to keep the critters healthy. WANT TO GO? $8; free for members. 914-723-3470. greenburghnaturecenter.org. WHEN: Saturday, May 4, 10am-2pm WHERE: Wave Hill, West 249th Street and Independence Avenue, Bronx AGES: All WHAT: Check out live and preserved insects, cocoons, and chrysalides with entomologists. WANT TO GO? $10; $6 students and seniors 65; $4 children ages 6-18; free for members and children younger than 6. 718-549-3200. wavehill.org. WHEN: Saturday, May 4, 1-3pm WHERE: Muscoot Farm, 51 NY-100, Katonah AGES: All WHAT: Learn more about the behavior and benefits of the eastern coyote! WANT TO GO? 914-864-7282. nywolf.org. WHEN: Sunday, May 26, 1-2pm WHERE: Greenburgh Nature Center, 99 Dromore Road, Scarsdale AGES: All WHAT: Touch wool, try carding and hand spinning, and make a craft. WANT TO GO? $8; $5 members. 914-723-3470. greenburghnaturecenter.org. WHEN: Monday, May 27, 11am WHERE: Wolf Conservation Center, 7 Buck Run, South Salem AGES: All WHAT: Learn about the mythology, biology, and ecology of wolf families. WANT TO GO? $14; $11 children younger than 12. 914-763-2373. nywolf.org. WHEN: May 2-30, Thursday, 5-6pm WHERE: Mount Kisco Library, 100 E. Main St., Mount Kisco AGES: 5-12 WHAT: Children can read to a dog to practice their literacy skills. WANT TO GO? 914-666-8041. mountkiscolibrary.org. WHEN: May 4-5, Saturday-Sunday, 11am-4pm WHERE: The New York Botanical Garden, 2900 Southern Blvd., Bronx AGES: All WHAT: Celebrate the lilac clollection with painting, music, talks, and more. WANT TO GO? $30; $28 seniors 65 and older and students with valid ID; $18 children ages 2-12. 718-817-8700. nybg.org. WHEN: Sunday, May 5, 1-2pm WHERE: Greenburgh Nature Center, 99 Dromore Road, Scarsdale AGES: All WHAT: Learn about pond residents then walk to the pond to catch them. WANT TO GO? $8; $5 members. 914-723-3470. greenburghnaturecenter.org. WHEN: Wednesday, May 8, 7-9pm WHERE: Greenburgh Nature Center, 99 Dromore Road, Scarsdale AGES: 13 and older WHAT: Student leaders discuss their work with Zero Waste Initiatives. WANT TO GO? 914-723-3470. greenburghnaturecenter.org. WHEN: Saturday, May 11, 9am-2pm WHERE: Teatown Lake Reservation, 1600 Spring Valley Road, Ossining AGES: All WHAT: PlantFest features abundant plant varieties, expert helpers, more than a dozen vendors, and farm-to-table produce. WANT TO GO? 914-762-2912 x110. teatown.org. WHEN: Saturday, May 11, 9-11am WHERE: Brinton Brook Sanctuary, 1339 Albany Post Road, Croton-on-Hudson AGES: 9 and older WHAT: Enjoy a monthly walk at the area’s largest sanctuary. WANT TO GO? 914-666-6503. sawmillriveraudubon.org. WHEN: Sunday, May 12, 9:30am WHERE: Wave Hill, West 249th Street and Independence Avenue, Bronx AGES: 9 and older WHAT: Explore the gardens on a quest to spot resident and rare birds. WANT TO GO? $10; $6 students and seniors 65; $4 children ages 6-18; free for members. 718-549-3200. wavehill.org. WHEN: Sunday, May 12, 1pm WHERE: Wave Hill, West 249th Street and Independence Avenue, Bronx AGES: 5 and older WHAT: Join a family-friendly walk through the gardens or woodlands. WANT TO GO? $10; $6 students and seniors 65; $4 children ages 6-18; free for members and children younger than 6. 718-549-3200. wavehill.org. Saw Mill River Audubon Pruyn Sanctuary Spring Walk FREE WHEN: Sunday, May 19, 3:30-5pm WHERE: Pruyn Sanctuary, Woodmill Road, Chappaqua AGES: 5 and older WHAT: Enjoy a seasonal walk at Pruyn Sanctuary. WANT TO GO? 914-666-6503. sawmillriveraudubon.org. WHEN: Saturday, May 4, 11am-1pm WHERE: Westchester Children’s Museum, 100 Playland Parkway, Rye AGES: 3-17 WHAT: Learn the basic principles of working with polymer clay and creating polymer clay jewelry. WANT TO GO? $7.50; $6.50 for seniors; free for children younger than 1, members, and active duty military personnel. 914-421-5050. discoverwcm.org. WHEN: Saturday, May 4, 1:30-2:30pm WHERE: Sheldrake Environmental Center, 685 Weaver St., Larchmont AGES: 5-12 WHAT: Learn about herbs and spices, then create your own sachets. WANT TO GO? $10; free for members. 914-834-1443. sheldrakecenter.org. WHEN: Tuesday, May 7, 4:30-5:30pm WHERE: Mount Kisco Public Library, 100 E. Main St., Mount Kisco AGES: 3-12 WHAT: Make a lovely handprint flower pot. WANT TO GO? 914-666-8041. mountkiscolibrary.org. WHEN: Thursday, May 9, 4pm WHERE: The Field Library, 4 Nelson Ave., Peekskill AGES: 3-12 WHAT: Make a homemade card for your mom. WANT TO GO? 914-737-0847. fieldkids.wordpress.com. WHEN: Sunday, May 12, 10:30am and 1:30pm WHERE: Wave Hill, West 249th Street and Independence Avenue, Bronx AGES: All WHAT: Enjoy brunch in Armor Hall or a picnic on the Conifer Slope. WANT TO GO? $60; $55 members; $35 child; $30 member children—excluding tax, parking, and gratuity; free for children younger than 5. 718-549-3200. wavehill.org. WHEN: Monday, May 27, 10am WHERE: City of White Plains, Church Street, Downtown White Plains AGES: All WHAT: The parade will be followed by services at the Rural Cemetery. WANT TO GO? 914-422-1336. WHEN: Through May 21: select Tuesdays and Thursdays, 9:1510:30am WHERE: Temple Israel Center, 280 Old Mamaroneck Road, White Plains AGES: Newborn to 2 WHAT: Share breakfast, converse with other parents, and listen to speakers about topics including sleep issues, nutrition, dealing with in-laws, and separation. WANT TO GO? 914-948-2800. templeisraelcenter.org. WHEN: May 4-25, Saturday, 1-4pm WHERE: Hudson River Museum, 511 Warburton Ave., Yonkers AGES: All WHAT: Help populate the museums eco-mural and take home native wildflower seeds. WANT TO GO? $7; $5 veterans, seniors, and students; $4 children ages 3-18; free for children younger than 3. 914-963-4550. hrm.org. WHEN: Friday, May 3, 4-5:30pm WHERE: Pelham Art Center, 155 Fifth Ave., Pelham AGES: 5-12 WHAT: Explore concepts in physics, mechanical engineering, structural engineering, and architecture. WANT TO GO? $32; $29 members. 914-738-2525. pelhamartcenter.org. WHEN: Monday, May 13, 4pm WHERE: The Field Library, 4 Nelson Ave., Peekskill AGES: 5-12 WHAT: Flex your brain with some STEAM activities and games! WANT TO GO? 914-737-0847. fieldkids.wordpress.com. WHEN: Friday, May 17, 11am WHERE: The Field Library, 4 Nelson Ave., Peekskill AGES: 3-5 WHAT: Explore shapes and patterns with geometric tiles and build crazy structures with magnetic tiles. WANT TO GO? 914-737-0847. fieldkids.wordpress.com. WHEN: May 11-18, Saturday, 1-2:30pm WHERE: White Plains Public Library, 100 Martine Ave., White Plains AGES: 5-8 WHAT: Learn about STEM through hands-on activities and projects. WANT TO GO? 914-422-1476. whiteplainslibrary.org. WHEN: May 4-26, Saturday-Sunday, 1-4pm WHERE: Hudson River Museum, 511 Warburton Ave., Yonkers AGES: Newborn to 5 WHAT: Explore, play, and create with a dollhouse, blocks, a puppet theater, and books. WANT TO GO? $7; $5 veterans, seniors, and students; $4 children ages 3-18; free for children younger than 3. 914-963-4550. hrm.org. WHEN: May 1-29, Wednesdays, 11-11:30am WHERE: Westchester Children’s Museum, 100 Playland Parkway, Rye AGES: Newborn to 5 WHAT: Do an experiment with color mixing. WANT TO GO? $7.50; $6.50 for seniors; free for children younger than 1, members, and active duty military personnel. 914-421-5050. discoverwcm.org. WHEN: May 2-30, Thursdays, 10:30-11am WHERE: Westchester Children’s Museum, 100 Playland Parkway, Rye AGES: 3-5 WHAT: Meet up for social play, muscle and brain builders, tumbling and jumping, music and instruments, dancing, and story time. WANT TO GO? $7.50; $6.50 for seniors; free for children younger than 1, members, and active duty military personnel. 914-421-5050. discoverwcm.org. WHEN: Through May 31: Wednesday-Sunday, 10am-4pm WHERE: Westchester Children’s Museum, 100 Playland Parkway, Rye AGES: All WHAT: The museum will offer toys and books. A portion of the proceeds will support educational programs and exhibits. WANT TO GO? $7; $6 seniors; free for children younger than 1. 914-421-5050. discoverwcm.org. WHEN: Sunday, May 5, 11am and 1:30pm WHERE: Emelin Theatre, 153 Library Lane, Mamaroneck AGES: 3-8 WHAT: Madeline and the Bad Hat focuses on the unbreakable bonds of friendship and family. WANT TO GO? $15-$20. 914-698-3045. emelin.org/madeline. WHEN: Saturday, May 11, 9am WHERE: Yankee Stadium, 1 E. 161st St., Bronx AGES: 5 and older WHAT: Run through Yankee Stadium and raise money for cancer research. WANT TO GO? $20-$60. 212-455-0503. runyon5k@damonrunyon.org. WHEN: Saturday, May 18, 10am-2pm WHERE: FDR State Park, Lot 4, 2957 Crompond Road, Yorktown Heights AGES: 3 and older WHAT: The Walkathon will raise funds to provide autism service dogs. WANT TO GO? $30; $20 kids. 845-377-0477. bluepathservicedogs.org/walkathon. WHEN: Saturday, May 11, 8-10pm WHERE: Westchester Community College, Academic Arts Theatre, 75 Grasslands Road, Valhalla AGES: All WHAT: Experience the ultimate rock star tribute show! WANT TO GO? $24 general admission; $22 non-WCC students, seniors, faculty, and staff; $18 children younger than 13. 914-606-6262. sunywcc.edu. WHEN: Saturday, May 11, 12-1:30pm WHERE: Greenburgh Town Hall, 177 Hillside Ave., Greenburgh AGES: 9-17 WHAT: A public reading of original stories by 9- to 17-year-olds. WANT TO GO? 914-682-1574. greenburghartsandculture.org. WHEN: May 3-11, see website for show times WHERE: Actors Conservatory Theatre, 20 Buckingham Road, Yonkers AGES: 9 and older WHAT: See this coming-of-age story about two brothers in Yonkers in 1942. WANT TO GO? $18-$22. 914-391-6558. actshows.org. WHEN: May 3-12, Friday-Saturday, 7pm; Sunday, 2pm WHERE: Stepinac High School, 950 Mamaroneck Ave., White Plains AGES: 13 and older WHAT: A young man is caught between the father he loves and the mob boss he’d love to be. WANT TO GO? $22; $18 seniors and children younger than 12. 914946-4800. stepinac.org. WHEN: Sunday, May 19, 5-6:45pm WHERE: Scarsdale Golf Club, 1 Club Way, Hartsdale AGES: All WHAT: There will be bowling, food, drinks, raffle prizes, and fun! WANT TO GO? $30; $25 if paid by May 15; $15 per child younger than 12. 914-939-1180. foreverfamiliesthroughadoption.org. WHEN: Tuesday, May 21, 4-5:30pm WHERE: Mount Kisco Public Library, 100 E. Main St., Mount Kisco AGES: All WHAT: Make earrings that will be donated to a battered women’s shelter. WANT TO GO? 914-666-8041. mountkiscolibrary.org. WHEN: Saturday, May 11, 11-11:30am WHERE: Mount Kisco Library, 100 E. Main St., Mount Kisco AGES: Adult WHAT: Learn how exercise and nutrition help prevent chronic pain. WANT TO GO? 914-666-8041. mountkiscolibrary.org. WHEN: May 5-12, Sundays, 2pm and 7pm WHERE: The Play Group Theatre, 1 N. Broadway, Suite 111, White Plains AGES: 5 and older WHAT: This new musical puts imagination, wit, and heart at the forefront of this story. WANT TO GO? $15-$18. 914-946-4433. playgroup.org/shows. WHEN: Through May 26: See website for schedule WHERE: Westchester Broadway Theatre, 1 Broadway Plaza, Elmsford AGES: 9 and older WHAT: See the smash-hit musical based on real events! WANT TO GO? $53 and up. 914-372-6491. broadwaytheatre.com. WHEN: Through June 24: Mondays, except Memorial Day, 10-11:30am WHERE: Lil Chameleon, 29 Elm St., Tuckahoe AGES: Newborn to 5 WHAT: Meet other caretakers, socialize, have a snack, and let your child play! WANT TO GO? $5. 914-346-5148. lilchameleon.com. WHEN: May 30-Aug. 4, see website for schedule WHERE: Westchester Broadway Theatre, 1 Broadway Plaza, Elmsford AGES: 9 and older WHAT: Go behind the music and inside the real story of Emilio and Gloria Estefan. WANT TO GO? $53 and up. 914-372-6491. broadwaytheatre.com. WHEN: Monday, May 20, 4-5pm WHERE: White Plains Public Library, 100 Martine Ave., White Plains AGES: 13-17 WHAT: Join a Reiki practitioner for some fun and relaxation. WANT TO GO? 914-422-1476. whiteplainslibrary.org. WHEN: May 4-5, Saturday-Sunday, 10am-1pm WHERE: Wave Hill, West 249th Street and Independence Avenue, Bronx AGES: All WHAT: Celebrate the brilliance of caterpillars and make a cocoon! WANT TO GO? $10; $6 students and seniors; $4 children ages 6-18; free for members and children younger than 6. 718-549-3200. wavehill.org. Tween/Teen Club: DIY Flower Crowns and Dirt Pudding FREE WHEN: Wednesday, May 1, 6-7:30pm WHERE: Eastchester Public Library, 11 Oakridge Place, Eastchester AGES: 13-17 WHAT: Celebrate May Day with crafts and snacks! WANT TO GO? 845-793-5055. eastchesterlibrary.org. WHEN: Wednesday, May 1, 4:30-5:30pm WHERE: Mount Kisco Public Library, 100 E. Main St., Mount Kisco AGES: 3-12 WHAT: Create a simple paper basket for May Day. WANT TO GO? 914-666-8041. mountkiscolibrary.org. WHEN: Wednesday, May 1, 9:45-10:15am WHERE: Lil Chameleon, 29 Elm St., Tuckahoe AGES: Newborn to 5 WHAT: Using floral paper and handcrafted flowers, make a basket to hang from a door knob. WANT TO GO? $20. 914-346-5148. lilchameleon.com. WHEN: Friday, May 3, 4-5:30pm WHERE: White Plains Public Library, 100 Martine Ave., White Plains AGES: 13-17 WHAT: Discuss new titles, learn drawing and sketching techniques from a local artist, and enjoy pizza! WANT TO GO? 914-422-1476. whiteplainslibrary.org. WHEN: Saturday, May 4, 1-3pm WHERE: Mount Kisco Library, 100 E. Main St., Mount Kisco AGES: All WHAT: Share origami models and techniques. WANT TO GO? 914-666-8041. mountkiscolibrary.org. WHEN: Monday, May 6, 4:30-5:30pm WHERE: Mount Kisco Public Library, 100 E. Main St., Mount Kisco AGES: 5-12 WHAT: Design a guitar using recycled household items. WANT TO GO? 914-666-8041. mountkiscolibrary.org. WHEN: Tuesday, May 7, 9:45-10:15am WHERE: Lil Chameleon, 29 Elm St., Tuckahoe AGES: Newborn to 5 WHAT: Decorate a recycled paper flower pot for a Motherâ&#x20AC;&#x2122;s Day gift. WANT TO GO? $20. 914-346-5148. lilchameleon.com. WHEN: Wednesday, May 8, 4-6pm WHERE: Mount Kisco Public Library, 100 E. Main St., Mount Kisco AGES: 5-12 WHAT: The library provides the Legos, you bring your imagination! WANT TO GO? 914-666-8041. mountkiscolibrary.org. WHEN: Friday, May 10, 5-8pm WHERE: Hudson River Museum, 511 Warburton Ave., Yonkers AGES: 13-17 WHAT: Try something new such as karaoke, dance workshops, hands-on art activities, and planetarium shows. WANT TO GO? 914-963-4550. hrm.org. WHEN: Friday, May 10, 2-3pm WHERE: Mount Kisco Public Library, 100 E. Main St., Mount Kisco AGES: 3-8 WHAT: Create a daisy out of play dough and other materials. WANT TO GO? 914-666-8041. mountkiscolibrary.org. WHEN: Saturday, May 11, 1-3pm WHERE: Muscoot Farm, 51 Route 100, Katonah AGES: 3-12 WHAT: Build a fairy house to help entice fairies to your yard. WANT TO GO? $15. 914-864-7282. muscootfarm.org. WHEN: May 11-12, Saturday-Sunday, 10am-1pm WHERE: Wave Hill, West 249th Street and Independence Avenue, Bronx AGES: All WHAT: Create a mobile of your favorite spot using natural materials. WANT TO GO? $10; $6 students and seniors 65; $4 children ages 6-18; free for members and children younger than 6. 718-549-3200. wavehill.org. WHEN: Tuesday, May 14, 4-5pm WHERE: The Field Library, 4 Nelson Ave., Peekskill AGES: 5-12 WHAT: Go green with a craft using recycled materials. WANT TO GO? 914-737-0847. fieldkids.wordpress.com. WHEN: May 18-19, Saturday-Sunday, 10am-1pm WHERE: Wave Hill, West 249th Street and Independence Avenue, Bronx AGES: All WHAT: Create your own species using upcycled electronic parts. WANT TO GO? $10; $6 students and seniors 65; $4 children ages 6-18; free for members and children younger than 6. 718-549-3200. wavehill.org. WHEN: Saturday, May 4, 9:30-11am WHERE: New Canaan Country School, 635 Frogtown Road, New Canaan, CT AGES: 3-8, adult WHAT: Enjoy guided discovery with wind experiments, an exploration of scientific principles, art, an obstacle course, and a sing-along. WANT TO GO? 203-972-0771. countryschool.net. WHEN: Tuesday, May 14, 4-5:30pm WHERE: Mount Kisco Public Library, 100 E. Main St., Mount Kisco AGES: 5-12 WHAT: Create a galaxy butterfly craft using the blotto painting technique. WANT TO GO? 914-666-8041. mountkiscolibrary.org. WHEN: May 17-20, Friday, 3:30-4:45pm; Monday, 4:30-5:30pm WHERE: Mount Kisco Public Library, 100 E. Main St., Mount Kisco AGES: 5-12 WHAT: Design an alligator affirmation box in this two-part series. WANT TO GO? 914-666-8041. mountkiscolibrary.org. WHEN: Tuesday, May 21, 4:15-4:45pm WHERE: Lil Chameleon, 29 Elm St., Tuckahoe AGES: Newborn to 5 WHAT: Build fine motor skills by molding play dough bugs. WANT TO GO? $10. 914-346-5148. lilchameleon.com. WHEN: May 15-22, Wednesdays, 4:30pm WHERE: The Field Library, 4 Nelson Ave., Peekskill AGES: 5-12 WHAT: Join a teen volunteer and channel your inner artist. WANT TO GO? 914-737-0847. fieldkids.wordpress.com. WHEN: May 25-26, Saturday-Sunday, 10am-1pm WHERE: Wave Hill, West 249th Street and Independence Avenue, Bronx AGES: All WHAT: Play with textures as you emulate the brackish water of the river. WANT TO GO? $10; $6 students and seniors 65; $4 children ages 6-18; free for members and children younger than 6. 718-549-3200. wavehill.org. WHEN: May 4-26, Saturday-Sunday, 1-4pm WHERE: Hudson River Museum, 511 Warburton Ave., Yonkers AGES: All WHAT: Create portraits of African-American musicians, activists, and authors. WANT TO GO? $7; $5 veterans, seniors, students; $4 children ages 3-18; free for children younger than 3. 914-963-4550. hrm.org. WHEN: Wednesday, May 29, 4:30-5:30pm WHERE: Mount Kisco Public Library, 100 E. Main St., Mount Kisco AGES: 5-12 WHAT: Create and decorate (with paint or glitter) a paper star. WANT TO GO? 914-666-8041. mountkiscolibrary.org. WHEN: Friday, May 31, 5-7pm WHERE: White Plains Public Library, 100 Martine Ave., White Plains AGES: All WHAT: Celebrates the art of White Plains City School children. WANT TO GO? 914-422-6947. whiteplainslibrary.org. WHEN: May 4-5, Sunday, 10am-7pm; Saturday, 10am-5pm WHERE: Westchester County Center, 198 Central Ave., White Plains AGES: All WHAT: A comic, toy, game, and pop culture-themed convention covering all aspects of geek culture. WANT TO GO? $40 for weekend pass; $27 for day pass; $7 children 12 and younger. 914-995-4050. countycenter.biz. WHEN: May 4-5, Saturday, 10am-5pm; Sunday, 11am-3pm WHERE: Keeler Library, 276 Titicus Road, North Salem AGES: All WHAT: There will be books and other items for sale, plus crafts, music, food trucks, and live animals. WANT TO GO? 914-669-5161. ruthkeelermemoriallibrary.org. WHEN: May 3-5, Friday, 10am-5pm; Saturday, 10am-6pm; Sunday, 10am-5pm WHERE: Lyndhurst, 635 S. Broadway, Tarrytown AGES: All WHAT: This arts event features 300 modern American artists, designers, and craftspeople. WANT TO GO? $12 weekend pass; $11 seniors; $4 children ages 6-16; free for children younger than 6. 845-331-7900. lyndhurst.org. WHEN: Friday, May 10, 4-7pm WHERE: Teatown Lake Reservation, 1600 Spring Valley Road, Ossining AGES: 3 and older WHAT: A plant sale with farmers’ market appeal, including live music, food, and wine. WANT TO GO? $20. 914-762-2912 x110. teatown.org. WHEN: Saturday, May 18, 1-5pm WHERE: ArtsWestchester Gallery, 31 Mamaroneck Ave., White Plains AGES: All WHAT: Enjoy children’s art activities, performances, and face painting. WANT TO GO? $10 per family. 914-428-4220. artswestchester.org. No matter how large (or compact) your kitchen is, it’s easier than you think to keep it organized, says Natalie Schrier, owner of Cut the Clutter, an organizing company in New York City. And, since this is the one room that can easily get disorganized—fast—Schrier shares three of her favorite tips for what is often the hub of the house: Double your shelf space. “To do this, shop around for freestanding shelves that will fit in your existing kitchen cabinets,” Schrier says. Swing by the Container Store to shop a variety of shelf options and sizes. Rethink your spice rack. “A tiered spice rack paired with printed labels on bottle tops makes it easy to find seasonings in a snap. To make things even easier, hang your measuring spoons on the door inside the cabinet in which your spices are stored,” Schrier says. Stand frying pans upright. “This will save space and make it easier to retrieve what you need—you won’t have to unstack anymore,” she says. The Iris Chrome Cookware Organizer ($19.99) at the Container Store is a great option to keep pans vertical. If it feels like your kids’ rooms are bursting at the seams—your kids are in a major growth spurt and some clothes fit and some don’t, toys are strewn every which way, and Legos are perpetually under foot—it’s time to sort, dump, or store. Here are four tips to get this room under control: Corral hand-me-downs. “It can be hard to keep kids’ clothes under control since they outgrow them so quickly,” says Lisa Zaslow, owner of the NYC-based Gotham Organizers. “My best tip: Keep a spare shopping bag in the closet to stash too-small clothes and shoes as soon as you realize they don’t fit,” she says. “When it’s full, donate, sell, or give those items away. If you’re saving items for a younger child to grow into, use a zippered clothing storage bin and label it with the size.” Divide—to conquer—drawers. “When it comes to underwear and socks, it’s almost impossible to have kids keep those drawers organized,” says Jennifer Nevins, founder of Savor, a Manhattanbased company that designs and manufactures organizational boxes. “Dividers make it easy to keep like with like and makes it easier to see what you have and stay organized.” Have the right organizational tools. To get your kids’ room looking streamlined, use a label maker to indicate what’s in which storage box, put a cheery laundry hamper in your child’s room to ensure socks don’t end up on the floor, and never underestimate the space below the bed, a perfect place to tuck under-bed storage bags or boxes. Do a regular toy review. “One thing we see people struggle with is the fact that toys usually end up all over the house,” says Ben Soreff, owner of House to Home Organizing in Norwalk, CT. “Step one is gathering all the toys and games for review. Some may be broken or missing pieces and should be recycled. Others have been money aged out of donated Saving onanda should New be York City (preschools make great toy donation spots) and some may be keepsakes that should family day is easy! no longer be considered toys and live with the keepsakes.” As for storage, consider this: “One or two baskets with handles make for good traveling toy carrying bins for when you have company over and need to take the toys out of the living room and kitchen and move them to the kids’ room,” Soreff says. “Often younger kids don’t want to play in their room as they want to be in eyesight of the parent. These bins allow for quick clean up.” The rugged Canvas Storage Cubby Tote ($34.95) from L.L. Bean might be just what you need to keep those toys from scattering. If your home is closet-challenged and it seems like every time you open a closet door something falls down and hits you in the head, not to worry, say our organization experts. Here are three tips for making your closets seem spacious even if they’re packed with everything from vacuums and ski equipment to winter coats and luggage. Use the wall. “The easiest and least expensive option to use the space you have is to use peel and stick hooks,” says Jamie Novak, owner of Novak Organizing in Scotch Plains, NJ. “This allows you to hang a variety of items like statement necklaces, belts, Cityguideny.com hasscarves, bags, and jeans by the loop.” coupons and discounts for NYC sightseeing attractions, Maximize your closet door(s). “Over-the door stores organizers work restaurants, and more. beautifully to give you tons of pockets where you can stash things Great New York deals, and then find them again,” Novak says. “Even if you can’t use it savings, special offers and over the door you can still hang it on a wall or from a hanger.” deep discounts—for you and your family—are yours with Lambeth Hochwald is a New York City-based journalist covering trends, relationships, just a click of the mouse. and life in New York City. Saving money on a New York City family day is easy! GREAT DEALS? 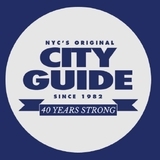 Cityguideny.com has coupons and discounts for NYC sightseeing attractions, restaurants, stores and more. Great New York deals, savings, special offers and deep discounts—for you and your family—are yours with just a click of the mouse. 856 Main St., New Rochelle 914-278-9477 agamesports.net info@agamesports.net A-Game Sports offers highly instructional sports training camps for individual sports including baseball, softball, basketball, lacrosse, flag football, and field hockey, as well as recreationally enjoyable multisport camps for kids just looking for active fun in the summer. 130 Mamaroneck Ave., Mamaroneck 914-341-1457 mamaroneck.b2rmusic.com mamaroneck@bachtorock.com B2R’s summer camp has a unique approach that makes it possible for students with no previous musical training to be rocking out in a matter of hours. B2R teachers transform music instruction to a joyous and exciting team activity. 1 Blachley Road, Stamford, CT 203-989-1004 camps chelseapiersct.com/camp info@chelseapiersct.com Enjoy 11 weeks of a fun summer camp, centered on sports education for children of all ages and experience levels. Campers receive expert instruction and the best sports curriculum available in sports such as gymnastics, swimming, tennis, and parkour. 1349 Newfield Ave., Stamford, CT 203-329-8207 x16 curtaincallinc.com Summer is a time for kids to act out— and what better way than in Curtain Call’s full-day Summerstock Workshop Programs (ages 6-16) and our Summer Youth Theatre (students entering fourth grade to age 21). Our professional facilities and faculty provide the perfect creative environment for students of diverse backgrounds and experience! ing, creativity, and curiosity while engineering, building, experimenting, and playing with astonishing gadgets and fantastic gizmos. Our top notch, enthusiastic educators make STEM learning an adventure! 2019 programs: Robot Challengers and Reaction Racers, Young Innovators Science, Rocket Space Science, and Physics Coaster and Science Magic. Located at the Doral Arrowwood in Rye Brook 800-733-1653 spearmanjuniorgolf.com joanna@spearmangolfacademy.com The premier golf experience in Westchester and voted Best Junior Golf Instruction in New York! Camps are designed for juniors ages 4 to older teens, with all skill levels welcome. From putting and short game training to swing development and on-course play, we provide a fun and exciting learning environment. 400 Doansburg Road, Brewster 845-279-2995 33 Clearpool Road, Carmel 845-225-8226 greenchimneys.org Green Chimneys’ Extended School Year offers a unique summer experience for students with special needs. Structured, six-week program provides strong academic and social support in the fun atmosphere of summer camp. Set on the spectacular Clearpool Campus (Carmel), students will be fulfilled and ready for school in the fall. Held at 150 prestigious campus locations 888-709-TECH (8324) idtech.com iD Tech is the world leader in STEM education, with 400,000 alumni since 1999. Summer programs for ages 7-19 are held at 150 prestigious campuses including Stanford, NYU, HKU, and Imperial College London. Students build in-demand skills for futures in coding, game development, robotics, and design. Visit idtech.com. kineticsportsclub.com Our camp program is exciting and action-packed. Let our enthusiastic and encouraging staff create an amazing experience filled with great sportsmanship and social skills in a fun and safe environment. We use fun, fitness, and friendships to create great memories. We offer an indoor turf field, basketball court, and waterpark. 777 White Plains Road, Scarsdale 914-722-0072 tlgscarsdaleny.com 2121 Broadway, 2nd Floor (between 74th and 75th streets), Upper West Side, Manhattan 212-799-1225 tlgupperwestsideny.com Since 1977, The Little Gym has been promoting healthy and successful physical and mental development of children. Its “Anytime Summertime Kids Fun” includes parent and child classes (ages 4 months to 3 years), preschool and kindergarten classes (ages 3-6), and grade school gymnastics (noncompetitive!) for beginner, intermediate, or advanced gymnasts. Classes in White Plains and Yonkers 914-351-6788 mandarindiscov.org shanshanli@mandarindiscov.org Mandarin Discovery Preschool is an immersion program for children. We offer mommy-and-me classes, preschool classes, an afternoon program, and Chinese culture classes. Our goals are creating a fun learning environment for children and helping them learn Mandarin. During the summer we will offer morning and afternoon classes. J. Brian Hansbury, director 735 Anderson Hill Road, Purchase 914-251-5938 purchasecollegeathletics.com/ sports/2011/6/14/GEN_0614112216.aspx john.hansbury@purchase.edu The Purchase College Aquatics Program runs year-round in our sparkling, six-lane pool and features children’s group lessons, parent and child classes (6 months and older), and specialty programs including adult lessons, private and semi-private lessons, and Pre-Competitive Swimming Group workouts. Summer lessons offered daily with morning and afternoon option. 914-251-6500 purchase.edu/academics/youth-and-precollege-programs youth.pre.college@purchase.edu laura.vuli@purchase.edu For more than 40 years, students are inspired by our scenic campus, learn new skills, and create with others who share their passion. Immersed in a variety of exciting, fun, and enriching learning activities, students gain new skills in acting, architecture, creative writing, digital arts, filmmaking, photography, journalism, and music. SPORTIME Lake Isle Lake Isle Country Club Tennis Courts, 660 White Plains Road, Eastchester 914-777-5151 sportimecamps.com/lisle campslisle@sportimeny.com SPORTIME Harbor Island Tennis Courts in Harbor Island Park, Mamaroneck 914-777-5050 sportimecamps.com/hi campslisle@sportimeny.com sportimeny.com/summercamps camps@sportimeny.com SPORTIME’s tennis and JMTA Tennis Training camps are designed for youngsters who want to focus their camp days on playing and learning tennis. Campers will be taught proper tennis technique and strategies while participating in competitive drills, games, and match play. Camp days include field sports, special events, and swimming. 34 Lauer Road, Poughkeepsie 845-485-8438 sproutcreekfarm.org camps@sproutcreekfarm.org Weekly day and sleepover camps for ages 5-14, from June 24–Aug. 16. Our STEAM camps are ‘SEED-to-table’ experiential adventures! Explore a life-changing encounter fostering an appreciation for the earth, its beings, and our responsibility for its care. Located just off the Taconic State Parkway in the scenic Hudson Valley. Ultimate Summer Sports Camp About A-Game Sports A-GAME SPORTS is a 25,000 square foot indoor, airconditioned sports instruction and recreational facility in southern Westchester, and offers various Summer camps for your kids to enjoy their days off in a safe environment! creativity and bolster a deep interest in STEAM through hands-on learning by “Making”. 1600 Spring Valley Road, Ossining 914-762-2912 teatown.org Teatown’s Natural Science Summer Day Camp is jam-packed with adventure, discovery, and hands-on fun in the outdoors. We’re catching frogs, collecting bugs, climbing rocks, and exploring natural habitats all summer! Teatown Camp brings kids outside to learn about and explore the natural world. Teatown Summer Camp is where kids unplug, disconnect, and have a wild time! We spend our days on our 1,000-acre preserve learning by exploring, discovering new things about ourselves, each other and the earth, and developing friendships and respect for all living things. 100 Overlook Circle, New Rochelle 914-632-8836 td.edu Founded in 1969, the Summer Challenge has been a source of joy, entertainment, enlightenment, and playful fun for boys and girls ages 3½-14. Stop by and see our sports field, basketball court, and playground! Swim instruction and recreational swim are major components of the program. Door-to-door transportation and lunch included. 914-588-2971 westfairswim.com kpalladino@westfairswim.com Westchester and Fairfield Swim Camp offers a progressive swim camp for ages 5-14, operating daily from 9am-3pm. Swimming is taught by certified water safety instructors, and daily intensive swim instruction is geared for all levels. Comprehensive preparation for summer swimming, and a great supplement for summer swim teams. Ossining: 914-606-7400 ossining@sunywcc.edu Peekskill: 914-606-7300 peekskill@sunwcc.edu sunywcc.edu/locations/extension-centers-course-schedules The Westchester Community College Center for the Digital Arts offers a STEAM Arts Technology program for youth. This program’s focus is on developing multimodal literacies that give your child an experience that fosters creative critical thinking. 914-231-4500 parks.westchestergov.com Westchester County Parks’ popular summer camps offer something for kids of all ages and interests. Boys and girls can develop their skills in baseball, basketball, golf, or soccer; learn about their natural environment; or grow their musical skills. Complete information can be found at parks.westchestergov.com or 914-231-4500. 610-399-1463 whalecamp.com The Whale Camp provides experiential marine biology programs and facilities for learning about the dynamic ecologies of the Bay of Fundy and Grand Manan Island. Our goal is to use handson activities to increase awareness and understanding of natural systems. Campers build confidence, connect with the natural environment, and make lasting friendships. 11 City Place, White Plains 914-328-1600 wppac.com/education education@wppac.com The WPPAC Summer Theatre Academy combines musical theater training with performance. Students in rising first to 10th grades learn about acting, singing, and dancing while rehearsing their production. Sessions end with performances. Join us this summer for Frozen, The Lion King, and Aladdin. One-, two-, and three-week sessions available. 1-800- 433-4149 The Bronx Zoo: 2300 Southern Blvd., Bronx Central Park Zoo: 830 Fifth Ave., Manhattan Queens Zoo: 53-51 111th St., Queens Prospect Park Zoo: 450 Flatbush Ave., Brooklyn New York Aquarium: 602 Surf Ave., Brooklyn wcs.org wcs.org/camps Summer just got wild! Send your animal lover to summer camp at the Bronx Zoo, Central Park Zoo, Prospect Park Zoo, Queens Zoo, and the New York Aquarium! Campers will enjoy up-close animal experiences, special access to our amazing exhibits, and age-appropriate, hands-on STEM activities. A fun environment for children to learn Mandarin and Chinese Culture. • Mommy & Me • Preschool ages 3 - 5 • Programs for children 1st – 5th grade • Tutoring Morning and afternoon classes. Held in White Plains and Yonkers. AT WESTCHESTER COMMUNITY COLLEGE, CONNECT TO THE PERFECT SUMMER EXPERIENCE FOR YOUR CHILD OR TEEN! April 30th -May 22nd Take as many classes as youâ&#x20AC;&#x2122;d like! Call the studio to pick your class day and time! COME ONCE ──── ──── COME ONCE ──── OR Summer Camp OR Jr Summer Camp Jr DAY! COME EVERY Age years COME EVERY Age 3-6 3-6 years DAY! COME ONCE OR COME EVERY DAY! specially-themed parties. Contests, and giveaways! Camp Party Jr.prizes Party Mondaya 1-3:30 Everyone loves a good party! Three times week our camps become 969B CentralCamp Park Ave.
969B Central Park Ave. Camp Party 914-713-3470 Everyone loves a good party! Three times a week our camps become Visit: Email: 914-713-3470 Scarsdale, NY 10583 GREAT FUN. GREAT PRICING. Age 4.5-10 years greatplay.com/scarsdale Call in advance to to save! info@scarsdale.greatplay.com Call in advance to reserve summer camp dates and Register by May 10parties. to receive Earlyprizes Registration Discount specially-themed Contests, and giveaways! Email: Wed 1-3:30 reserve summer camp 914-713-3470 Visit: www.purchase.edu/youth GREAT PL info@scarsdale.greatplay.com dates and to save! greatplay.com/scarsdale 969B Central P GREAT FUN. GREAT PRICING. Scarsdale, NY 10583 Call in advance to reserve summer camp dates and to save! Call in advance to reserve summer camp dates and to save! GREAT PLAY Call in advance to reserve summer camp dates and to save! All Levels Camp Age 6-17 -- PeeWee Camp Age 4-7 Voted Best in Westchester Get Summer Ready – Daily Junior Clinics Year Round Register Online Today! LET YOUR CHILD ACT OUT!!! Spring class registration NOW OPEN for age 5 to adult! PLUS…Full-day summer programs for age 6 to 16 still available! Your Search for the Perfect Summer Camp is over! Camp locations in Westchester and NYC, across Long Island, including in the Hamptons, and the Capital Region. We’ve got your summer fun covered! Camps start June and run throughout the summer! Register Today! Have a cooking party for your child’s next birthday. From Cupcake Wars, to Chopped-style parties, to Pizza Creations, to chocolate melting, molding, and decorating, your kids will enjoy the fully hands-on experience. We are a family-owned and -operated entertainment company, offering a wide range of party and entertainment services, including clowns, inflatable bounce houses, characters, magicians, princesses, magic shows, face painting, and party concession rentals. Make your party a special one! Dave’s entertainment services include more than 100 costumed characters. From princesses and superheroes to pirates and tea parties, there’s something for everyone. “We bring the party to you.” We have one of the largest selections of themed bounce houses along with dry and wet slides, obstacle courses, dunk tanks, and other interactive inflatables, as well as cotton candy, popcorn, and additional fun concession foods. Girl AGain is a resale boutique for gently used American Girl dolls and books which make great birthday gifts! Your local guide to entertainers, party places, activities, and other resources. physical challenges or limitations. The book makes a great birthday gift! A-Game Sports offers a variety of birthday party packages for children of all ages. Each 90-minute party includes supervised playtime with two coaches on a private section of turf. Artistree Performing Arts creates amazing birthday parties for children ages 1-12. Have your party in our beautifully renovated studio or let us come to you with just the entertainment. Looking for a fun birthday party at a reasonable price? We have three different parties—Rock Star, Karaoke, or Rock City—for an unforgettable experience! Birthday parties at Chelsea Piers are action-packed! Options include gymnastics, dance, basketball, volleyball, soccer, ice-skating, ninja warrior, and water slides. New to Chelsea Piers is a gymnastics party option for toddlers and a pool party! Creative Corner is the perfect place to celebrate a birthday! Art party options include wood toys, treasure boxes, canvas bags, ceramic piggy banks, and canvas paintings. We will help every step of the way. Calling all birthday superstars! You and your guests will be dazzled by a unique, interactive party experience! Our award-winning, high-energy parties are spectacular events in our amazing Interactive Gym™. We customize each party based on your child’s interests, using some of our most popular Great Play games. Have your birthday party on ice! Host your next special party at the coolest place in town, Mamaroneck’s popular enclosed Hommocks Park Ice Skating Rink. Kids run, jump, climb, tumble, slide, bounce, and giggle to their hearts’ delight at Jodi’s Gym, where action-packed parties and unmatched experience have won children’s hearts for 35 years. Come party with Lil Chameleon! Book our Silver or Gold package and choose from truly unique experiences in our bright and stylish space. A private party at The Little Gym is a perfect way to celebrate your child’s next birthday. Gymnastics, games, obstacle courses, trampoline, sports, and music are tailored to your child’s interests! babies through age 5! Enjoy group drumming; funny, favorite sing-along songs; and fabulous dancing scarves! Places to build, explore, and discover, the Westchester Children’s Museum is Westchester’s newest, most creative place for birthday parties! Have the museum’s exhibits, MakerSpace, and party room to yourself—our parties offer exclusive use of the museum space when the general public has gone home. Pine Brook Fitness, awarded as Westchester’s Best Multi-Sport Family Fitness Facility, provides a fitness experience for you and your family and an exciting venue for birthday parties. Birthday parties? That’s our specialty! Celebrate your birthday at Sportime USA, the coolest place to have a party in Westchester. Each party at Studio B is uniquely designed to give the birthday child an exciting, personalized experience. Boys and 2 Saving money ongirlsaages New and older enjoy dancing and playing games family day is easy! to their favorite music. Make your wildlife lover’s birthday an unforgettable experience with a party at our zoos or aquarium! Parties include park admission, a private party room with host, special animal guests, visits York City and hands-on activities to to our exhibits, make your party animal’s birthday a truly unforgettable experience! Serving all of Westchester County 631-420-4444 berkshirefarm.org Berkshire Farm Center & Services for Youth helps children find safety and comfort in the homes of foster parents. Become a foster parent and give the gift of family! 9 Freight Way, Scarsdale 914-996-4315 liceclinicswestchester.com Lice Clinics of America will remove lice in just 1 hour! All lice and eggs—even Super Lice— are eliminated in a single, 1-hour treatment. Affordable treatments, no toxic chemicals. Age Appropriate activities including: tween trips, bowling, swimming, golf, drama, sports, water slide, zip-line, climbing wall, train rides, arts & crafts, sports, computers, air castle and more! Cityguideny.com has coupons and discounts for NYC sightseeing attractions, restaurants, stores and more. Great New York deals, savings, special offers and deep discounts—for you and 2170 Saw Mill River Road, yours Elmsford your family—are with annandandychildcare.com just a click of the mouse. Dr. Ivis Getz, a board-certified pediatric dentist, is committed to providing the highest quality dental care to infants, children, adolescents, and those with special needs. Dr. Getz recognizes that each child is a unique individual who deserves compassion and respect, which is evident in her friendly manner and calm demeanor. The dental team truly enjoys working with kids and will treat your child with warmth and compassion. The practice participates in many dental insurance plans and has convenient after-school and Saturday appointments available. 973-845-9260 campuskids.com Call or email to schedule your family’s private tour of our camp. Offered Saturdays and Sundays, year-round. Ms. Neeru Bhambree, director of education 340 Quaker Ridge Road, New Rochelle 914-636-6202 hudsoncountry.org Tours are available weekdays. Please call to schedule a visit and see how we inspire a love of learning. 100 Overlook Circle, New Rochelle 914-632-8836 td.edu Join us for Thornton-Donovan School’s Summer Challenge camp open house on Sunday, April 28 from 2-4pm. Camp is for ages 3-14, coed. Instructions 1. Combine 2 parts baking soda and 1 part baking powder in a large mixing bowl. We used 2 cups of baking soda and 1 cup of baking powder, but you can use whatever measurement you have on hand, as long as you’re consistent in ratio! 2. N  ow add 1 part (for us, 1 cup) of dish soap and stir well. You can start with a spoon, but as it combines, it’s more fun to use your hands. 3. Color with food coloring (optional) and play! Reprinted with permission from More Curious Jane © 2019 Girls Dream Out Loud Inc. Published by Sterling Children’s Books. Photography by Caroline Kaye. Happy. Healthy. Loved. These are the dreams we have for our children. So we cherish the moments when little giggles fill the room, imaginations take us on great adventures, and when it seems our hearts could burst with pride and love. Here and now, we’d stop time if we could. Because when kids are being kids, we all feel better. Let’s get every child covered. If your child needs health insurance, Fidelis Care is just a call, click, or visit away. HHHHH Fidelis Care is a top-rated plan in the 2017 New York State Consumer’s Guide to Medicaid and Child Health Plus.